Heated & Refrigerated Cabinets - G.A. Systems, Inc. 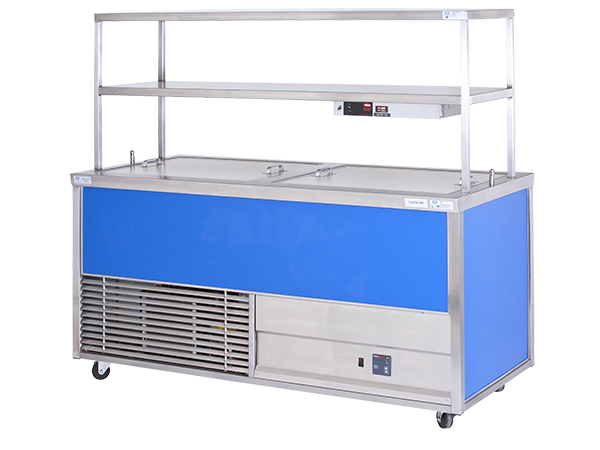 The Heated Refrigerated cabinet is a combination of our Refrigerated Speedline cabinet and our Heated Speedline cabinet. This cabinet is great for window walk up service. 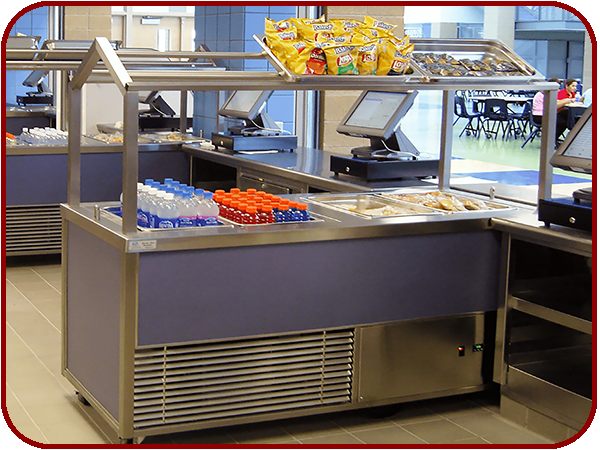 Placing the Heated/Refrigerated cabinet between two walk-up windows will allow two servers access to one cabinet with both cold food and cold drink items as well as hot food items within their reach. We recommend ordering the Heated/Refrigerated Cabinet with our accessory Double Shelf Display with Heat and wire baskets. Available in two lengths 53” and 68” and two widths 30-3/8” and 36-3/8”. 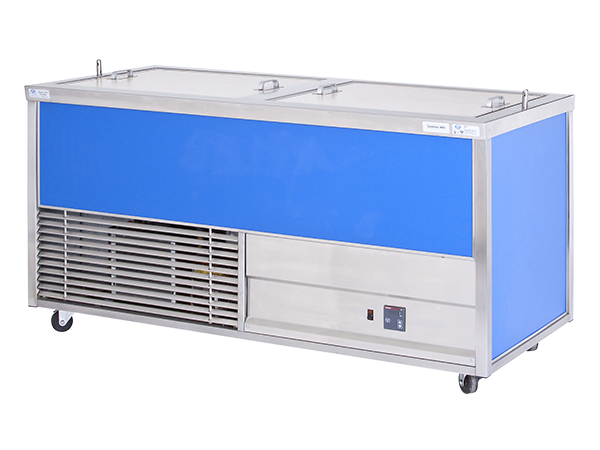 What does a “Quick Change” refrigeration unit mean to you? Lower service bills, less down time and easy maintenance. The entire refrigeration system is slides out from the cabinet. Unplug the unit, remove the two bolts from the louver panel, lift up secured bar and slide Refrigerated Snap In (RSI 1/3) unit out of cabinet. Our patented refrigeration system (RSI 1/3) provides cold air that circulated from the front of the cabinet to back of the cabinet. Keeping your cold food and beverages cold even with the lids off during serving time. Hot air is recirculated throughout the well and with the use of wire baskets providing space to assure that all food items from top to bottom and in the middle maintain the same quality and temperature. Completely sealed seamless food well makes cleaning easy. No messy spring mechanisms and unsanitary cracks and crevices. All our equipment is designed to be easily cleaned and help you meet health standards.